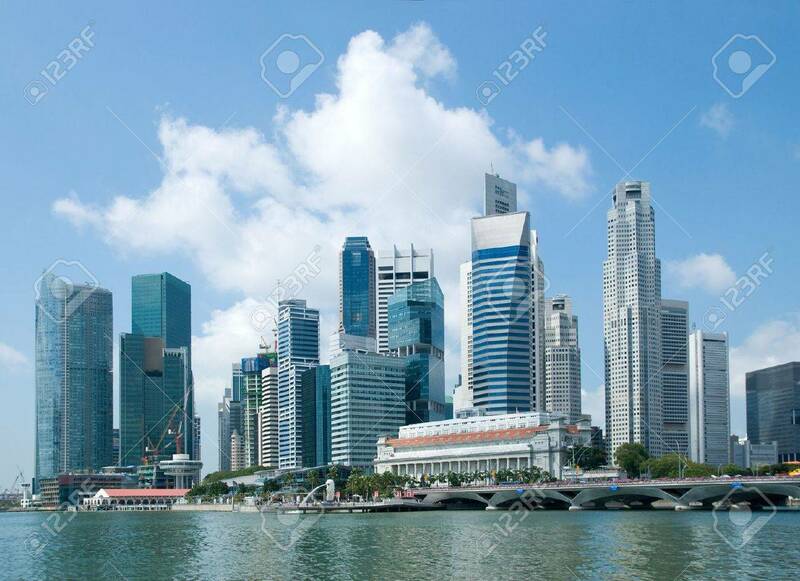 The Skyline Of Singapore Financial District As Seen From Esplanade,.. Stock Photo, Picture And Royalty Free Image. Image 6565892. Stock Photo - The skyline of Singapore financial district as seen from Esplanade, with Merlion, the fish lion sculpture, visible in the foreground. The skyline of Singapore financial district as seen from Esplanade, with Merlion, the fish lion sculpture, visible in the foreground.